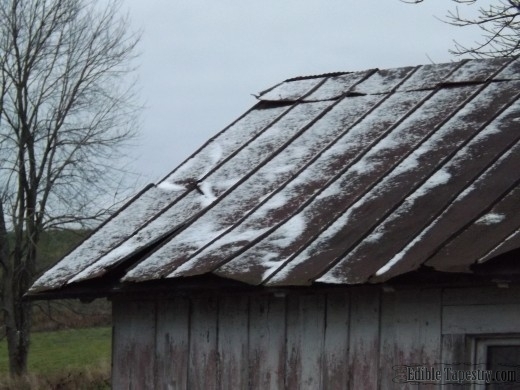 Because we heat our new house with a wood furnace, I have really enjoyed the necessity of getting a fire started in the morning and maintaining it throughout the day. 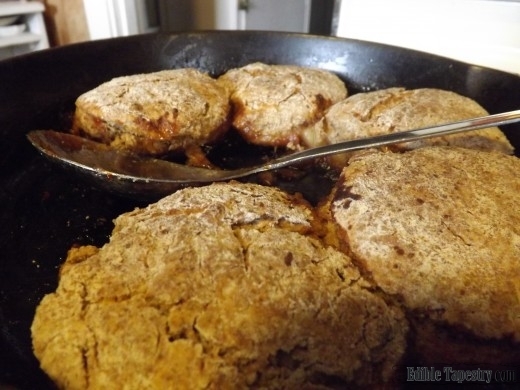 And when my husband comes in from tending the fire, with the primal smell of woodsmoke lingering in his hair and along his bristly jawline, I just go all mushy and old-fashioned and want to feed him something toasty and warm from the oven. I feel that my creativity has been lagging with the lack of a working oven. As my mother said the other day, “Ingrid without an oven? 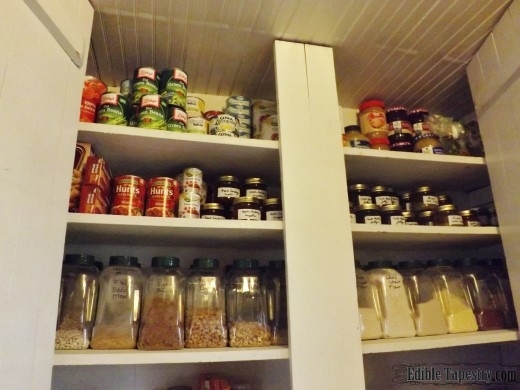 !” Yes, and food preparation has been tricky and boring, and oh-so-not me. So today, since we can’t find a replacement element locally and are having to resort to ordering one, I thought that I’d try our antiquated oven’s “Low Broil” setting. The broiler does work, but I’d never seen a low setting on one before. 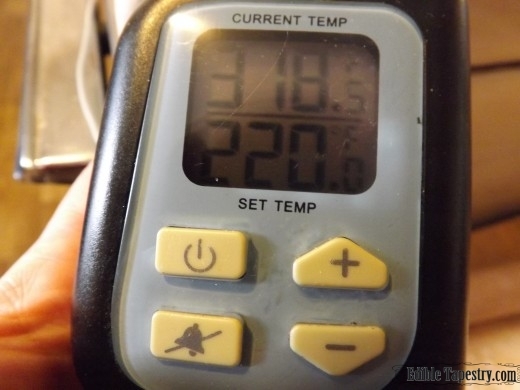 As it turns out, the oven temperature got up to around 318F and held on the low setting. I was so excited that I decided to see how well biscuits would bake at that temperature. 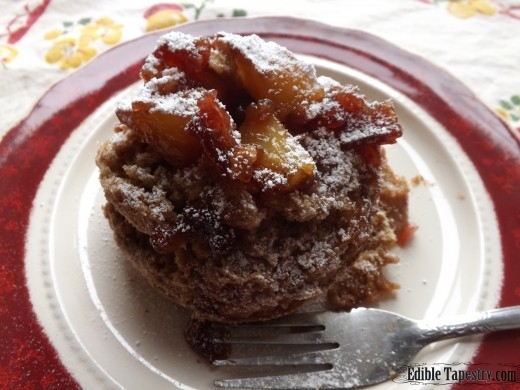 …I was able to throw together a super delicious breakfast for my family. The oven did a great job of baking up a crisp biscuit topping for my last minute pandowdy, though it took a pretty long time to finish. 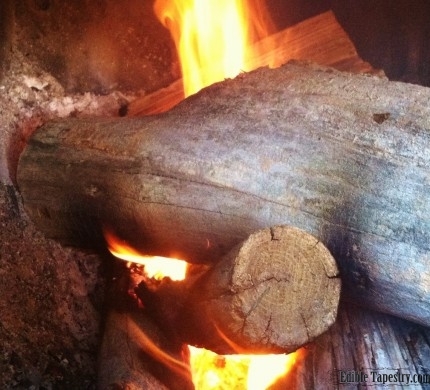 I’ve realized that I may be able to pull off roasting smaller portions of meat using this method until my new element comes in or I finally find that retro stove I’ve always dreamed of having, but Thanksgiving is being moved home to my beloved NC mountains. And in the nick of time, I might add. 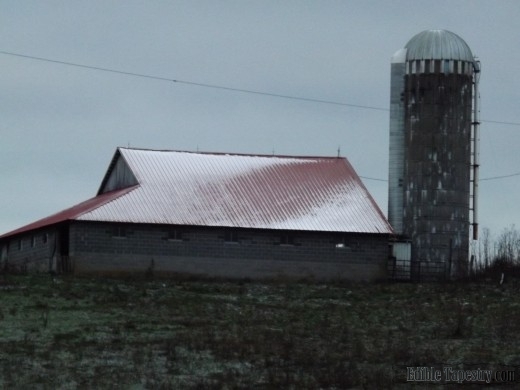 I’ve been away since Labor Day and am just so homesick that it feels like a good, long year since I’ve seen those lofty peaks, though I remain in awe of the views outside every window at the farm we have moved to. 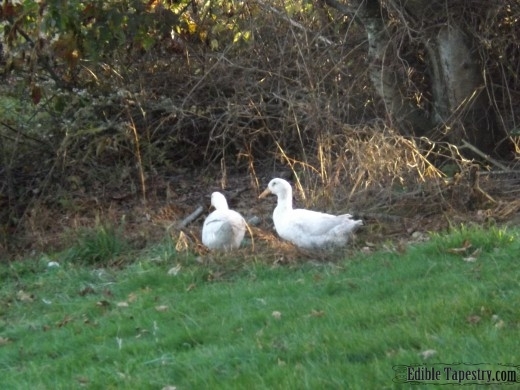 These are the two new ducks we brought to the farm to keep recently widowed Mr. Bickerson company. 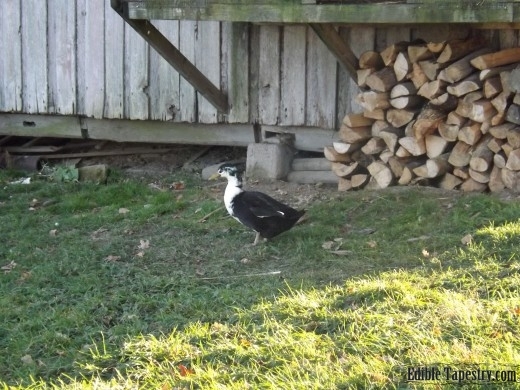 At first, Mr. Bickerson wandered around trying to decide if he could handle two quacking, bossy females after a few weeks as a free bird bachelor. It took him a few days, but he no longer runs when the girls try to follow him everywhere. They are smitten. He is tolerant. 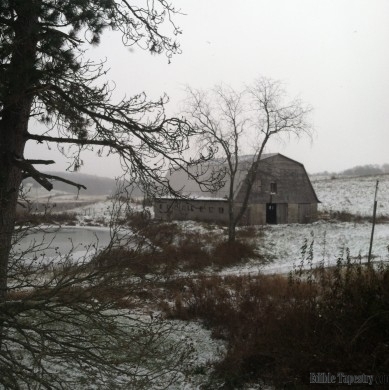 Our recent snowfalls have especially made the farm even more breathtaking than usual. Perfect setting in which to enjoy our laid back, Saturday morning country breakfast, while the wood stove puffs away. 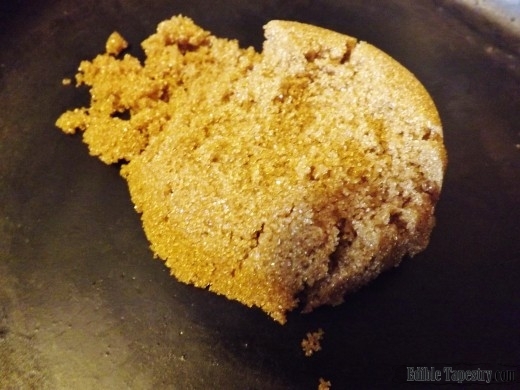 1/2 c. packed brown sugar. 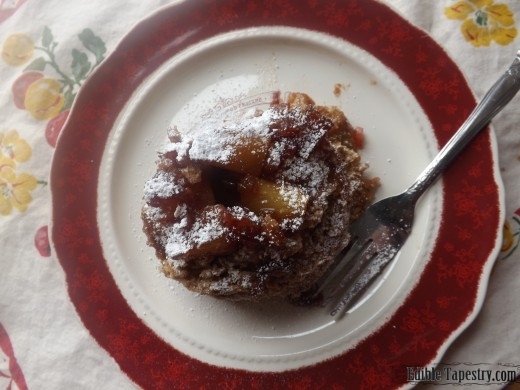 I used organic for this recipe, which I was elated to find at Aldi supermarket. 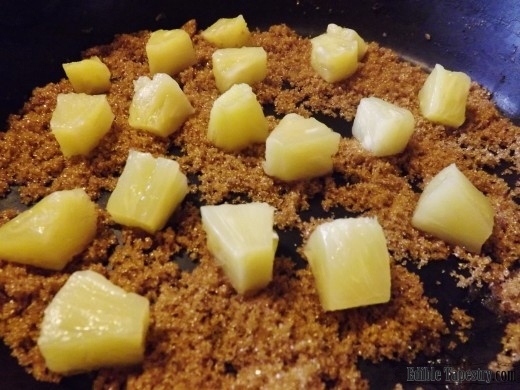 1 c. pineapple chunks, or “pineabble junks” as my German grandmother called them. I have trouble saying it any other way. Ha ha. 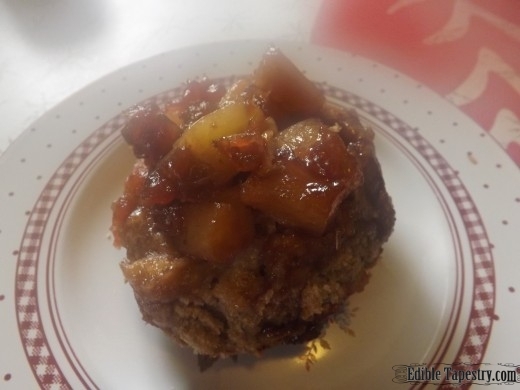 1/2 pint Apple Cranberry Compote, or other preserves. 1 T raw, organic sugar. Florida Crystals brand because I love their organic and natural sugars, as well as supporting the sugar industry in my home state. 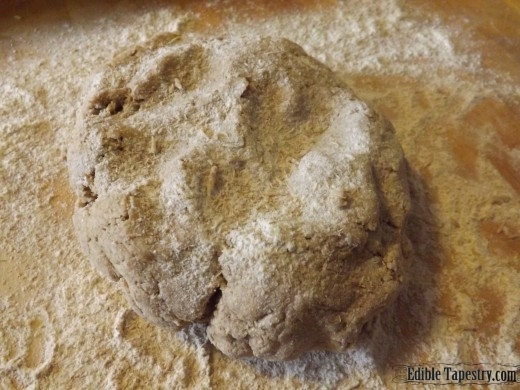 To make the biscuits, sift together the dry ingredients in a large bowl. Cut in the butter. 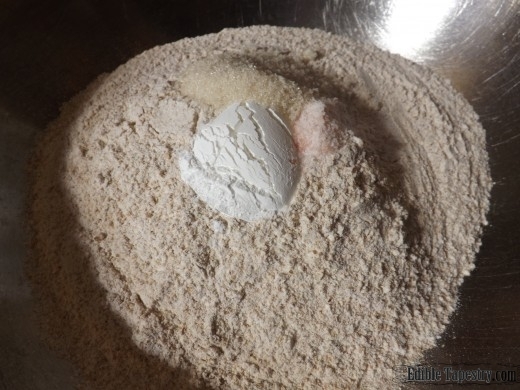 Work in the clabber just until all the dry ingredients are moistened and a dough is formed. 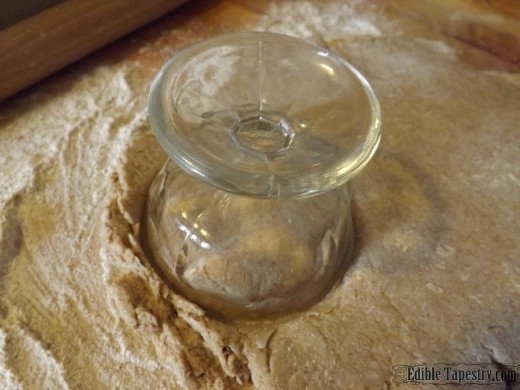 Cut out biscuits from the dough with a glass or biscuit cutter. I used a small sundae dish. 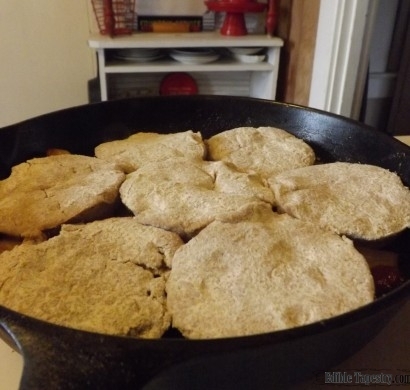 To make the filling, sprinkle the brown sugar in the bottom of a cast iron skillet. 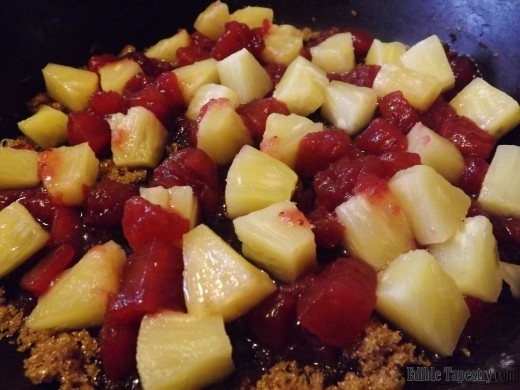 Spread the pineapple chunks and compote over the brown sugar. Heat oven to around 325F. As I mentioned, mine stayed near 318. 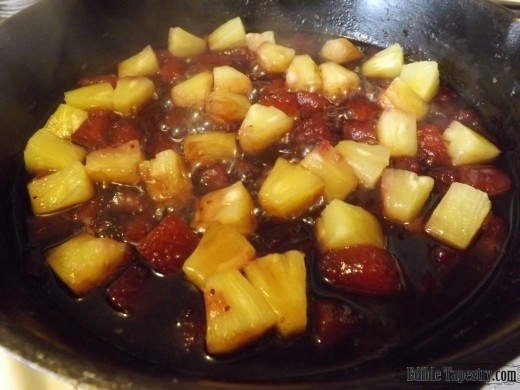 Caramelize the fruit and sugar over medium heat, cooking until the mixture becomes thickened and sticky, while being careful not to scorch it. 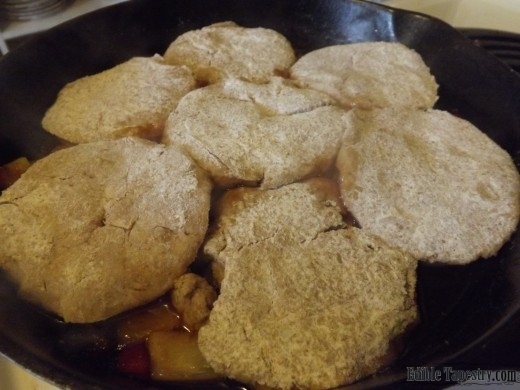 Top the filling with the biscuit dough rounds, pressing them into the fruit a little bit, and continue cooking on the stove top until the biscuits warm and the sticky liquid bubbles up between them. 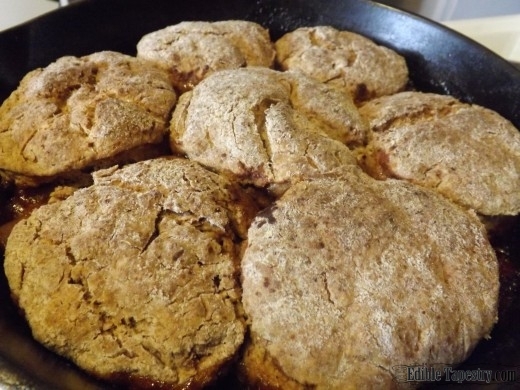 Place in the oven and bake for 25 to 30 minutes, or until the biscuits puff and begin to brown. 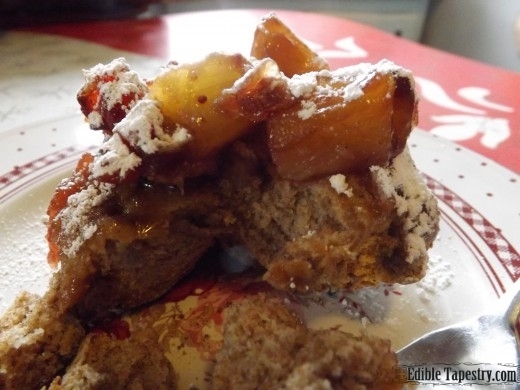 Spoon onto plates and dust with confectioner’s sugar. 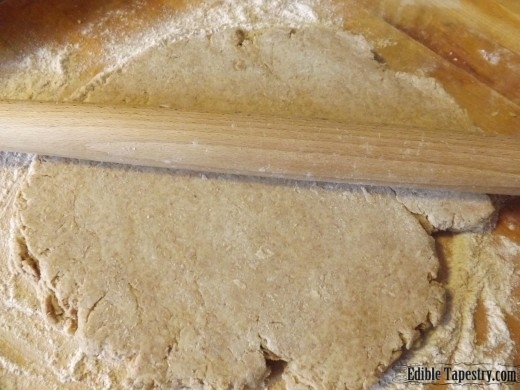 « Fluffernutter Fudge Recipe for National Peanut Butter Fudge Day!